The Air Force Life Cycle Management Center’s (AFLCMC) Human Systems Division working with members of the Advanced Tactical Acquisition Corps or ATAC, one of the center’s premier leadership development programs, are in the early stages of acquiring the next generation helmet for aircrews in fixed-wing aircraft with the exception of the F-35 Lightning II. 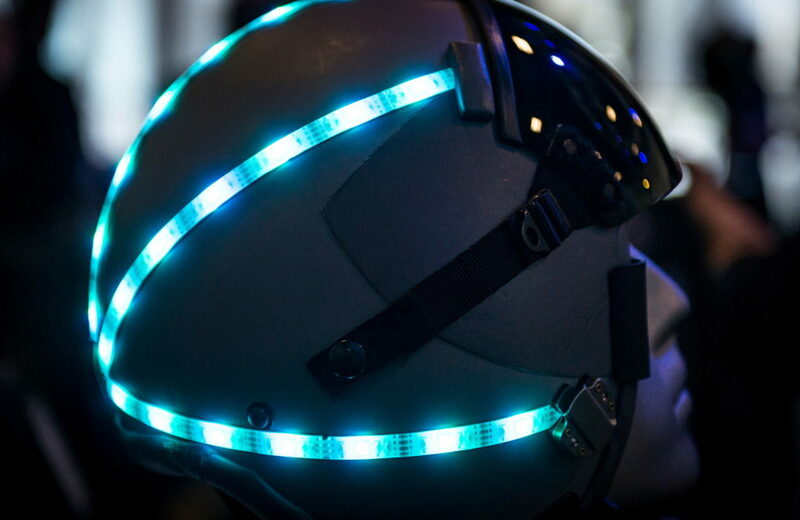 Recently, with recommendations from ATAC, the Human Systems Division awarded $600,000 in grants via AFWERX Vegas to three companies to develop and present prototypes for the helmet by the end of May 2019. The team worked closely with AFWERX Vegas, an Air Force innovation hub specializing in engaging entrepreneurs and private sector vendors, to identify the pool of companies that could potentially develop the new helmet faster, more efficiently and with cutting edge technology. Replacing legacy helmets on fixed-wing aircraft has become a priority in part because over time new requirements have added sub-systems, and devices, that the helmets were not originally designed for. «It (legacy helmet) is a 1980’s designed helmet that was not made to withstand and balance everything – technology – that we are putting on them», said 1st Lieutenant Naomi Harper, a program manager with the Human Systems Division. «If the weight is off, the center of gravity is completely off, which can cause neck issues and pain. Our goal is to find a helmet that is lighter, has more stability and is compatible fixed-winged aircraft and equipment». Michael DeRespinis, program manager with the Human Systems Division said that working with AFWERX has been beneficial in that it has helped increase competition to replace the helmet and is facilitating the rapid delivery of prototypes. DeRespinis also said that the division would like to select one of the prototypes and put that company on contract by September 2019 for further development activity and future production. Because of AFWERX Vegas, a process that in the past would have taken years to complete, will now only take months, which in turn will allow the Human Systems Division to field the helmets to aircrews faster. The ATAC team comprised of a group of competitively selected mid-level military and civilian acquisition professionals from across AFLCMC, the Air Force Research Laboratory and the Space and Missile Systems Center, are focused not only on supporting the Human Systems Division during this process, but also on figuring out the best way to transition technology. «Innovation hubs like AFWERX are starting to spin up around the Air Force», said Adam Vencill, a member of ATAC and a program manager by trade. «A challenge the Air Force has is getting products on contract that comes out of these hubs. We (ATAC members) were tasked to create a business model that helps that transition process». Nicole Barnes, ATAC contract specialist and member said that working with AFWERX, the Human Systems Division and being part of a rapid acquisition process has been rewarding. She added that the ATAC program is an example of leadership’s commitment to the workforce and to positive change.